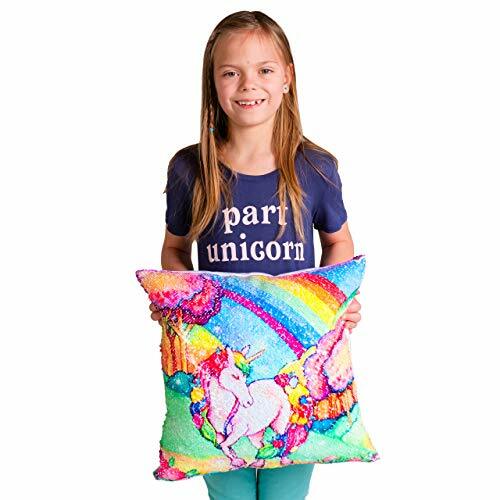 This Decorative Unicorn pillow will bring a lot of fun to any Unicorn lover, especially girls. 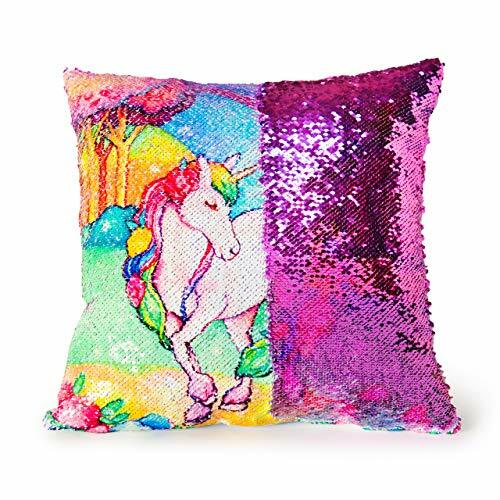 The sequins flip between rainbow unicorn picture and bright purple color. You will enjoy this bright and colorful design. 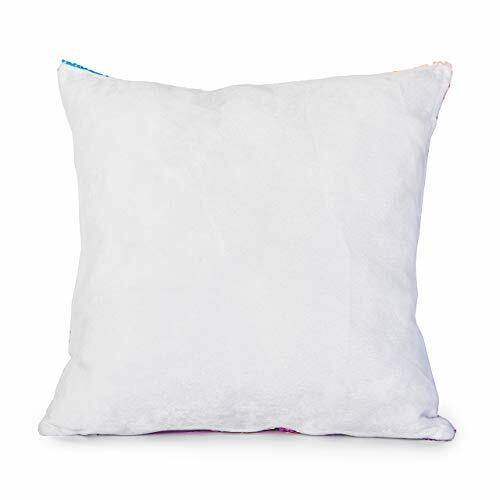 It can be used as pillow decoration around your house that allows you to play or relax with it on your bed, couch, sofa or chair.IT IS THE WHOLE PILLOW, NOT JUST THE COVER – This pillow with insert size 16″ x 16″. The pillow cover is removable. Hidden zipper closure. 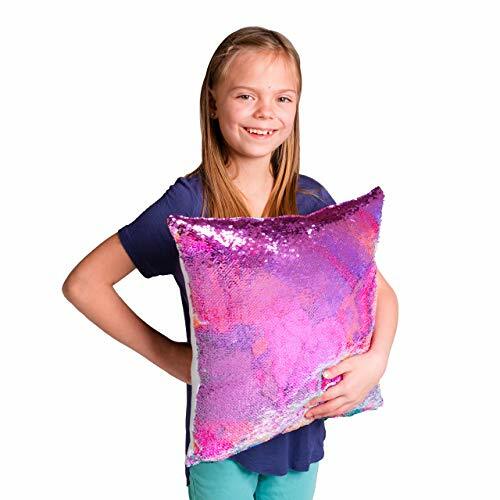 The front of the pillow has beautiful, color changing reversible sequin design. The back of the pillow made of soft white plush fabric. 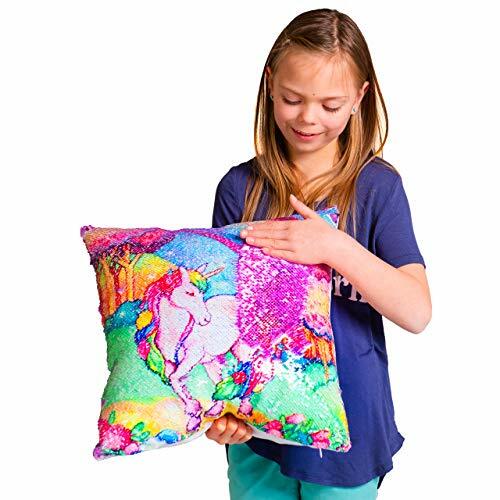 SEQUIN PILLOW THAT CHANGES COLOR – With the light touch of the hand the rainbow unicorn colorful picture magically turns into bright purple color of sparkling sequins. You will love the bright colors and our unique design. 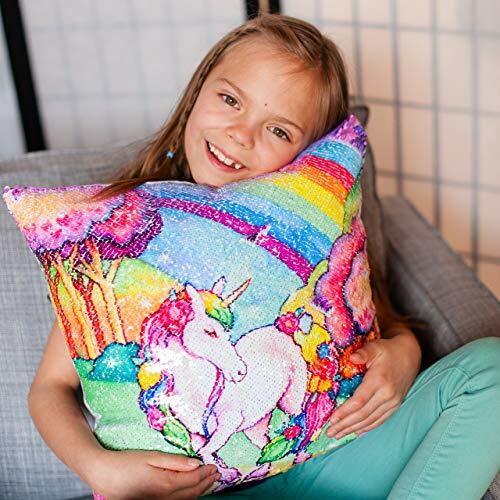 WONDERFUL GIFT – Great gift for your daughter, granddaughter, girl any age who loves the Magical Unicorn. Give it as birthday gift, Christmas gift and gift for other occasions. 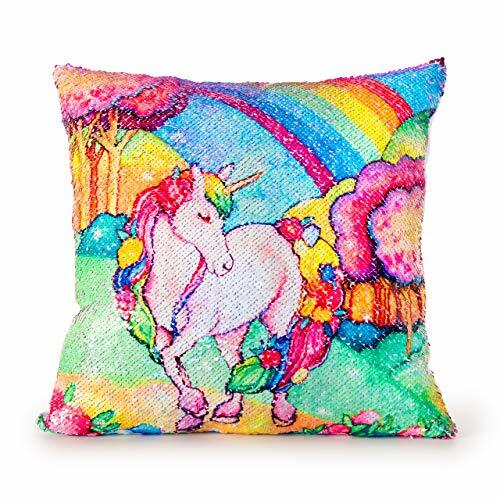 HOME DÉCOR – This pillow can be part of the décor for any girl’s room. 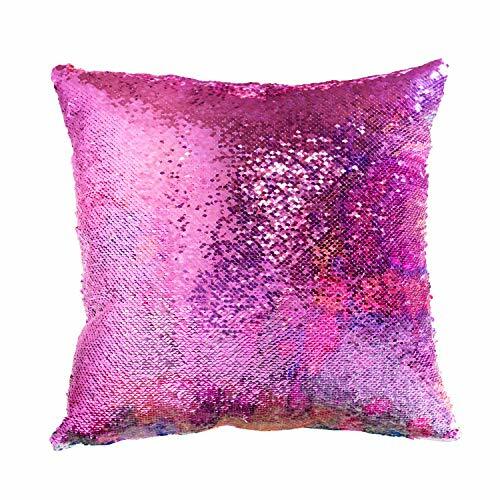 Place this decorative pillow on the bed, couch, sofa or chair in child room, bedroom, play room, living room. PLAY AND ENJOY – Shiny sequins move smoothly and easily. The color and pattern change of sequins provide endless fun and delight. It is soothing to run your fingers back and forth over the sequins. Will bring you and your child relaxing and happy time.